The Mummy’s Mask adventure path begins in the city of Wati. 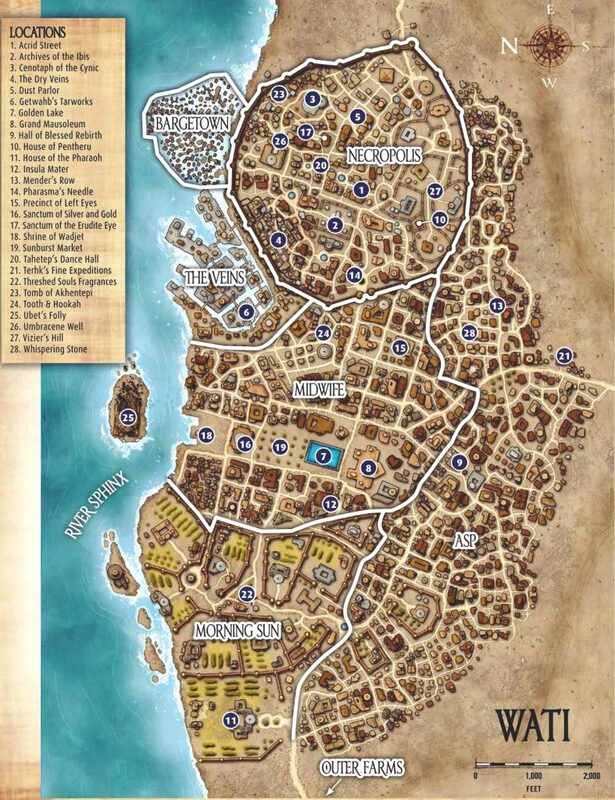 Sudi, Sitra, Sagira, and Onuris will be spending quite a bit of time in the city, so here is a map for listeners who are of the visual persuasion. Note: The Temple of Bastet is located near 9, the Hall of Blessed Rebirth.